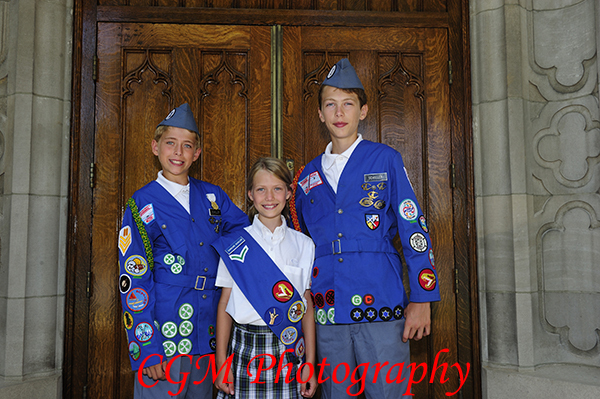 This sumer, we had the chance to get pictures of some Woodcrafters who are the sons and daughter of a Culver Military Academy graduate who was at Culver when we were. These three kids were an absolute blast to work with, as they had so many ideas for shots. And, like siblings that age, they were funny about who stood next to whom and who got to come up with the next shot, and so on. Ginny and I enjoyed working with them. This past summer, we met up with one of our favorite Culver families, the Elliots. Last time we worked with them, we took daughter Kirstin’s senior photos. We were a little rushed to get in some family shots, but we managed. 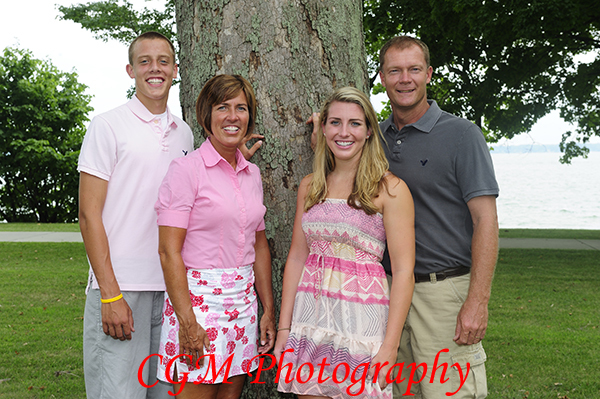 We walked along the lake on Culver Academies campus to get the pictures. One of our favorite people, Lyndsey, got married to a great guy (Brandon) this past July. Lyndsey and Brandon got married in Florida, so Ginny and I traveled down there for their beach wedding. It was a hot, hot day, but the beach was a great place for the wedding. When Lyndsey came “down the aisle,” all these people on the beach started to clap. Though the beach was crowded, we shot some pictures on it. 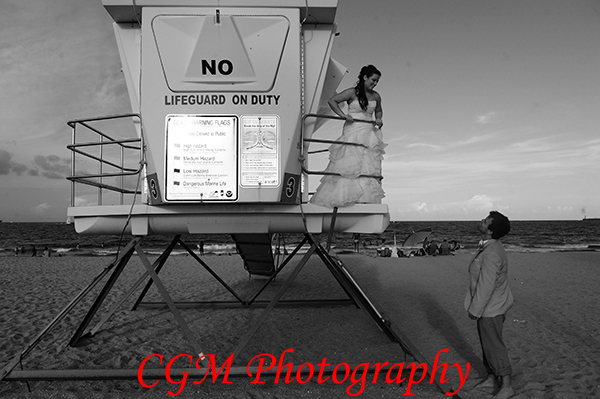 One of our favorite locations was the lifeguard on duty stand. It had that Titanic look and was a creative way to get some photos. We enjoyed the wedding, as Lyndsey is special to us. We look forward to seeing her and Brandon build their life together.